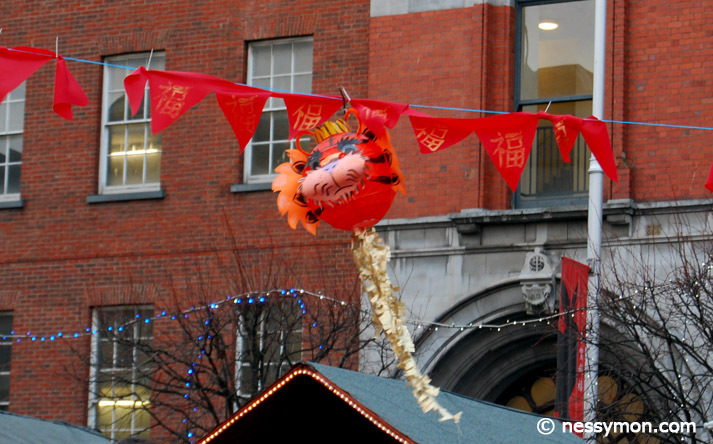 So I’ve been overtaken by some horrible bug, I left the house on Sunday for a few hours and went into town to check out the Chinese New Year celebrations. 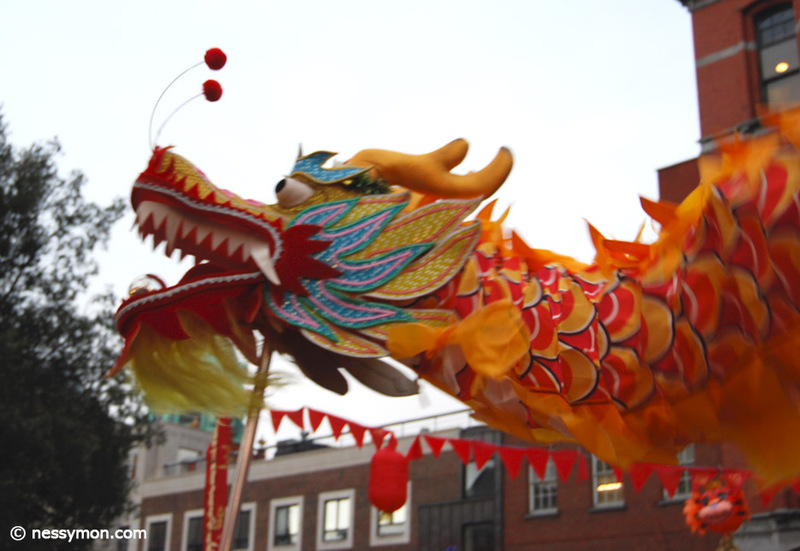 It was a quite modest affair in Wolfe Tone Park near Jervis St, with some music and stalls and a dragon. It was great but I would have loved to have seen a hell of a lot more. There was a Chinese pop singer and a troop doing a routine with a dragon. Parents and kids seemed to be everywhere buying balloons of Hello Kitty. I would have like d to have seen more traditional Chinese things happening. I know Chinese people buy toy fish because in their language it sounds like lucky or wealth. More of these things on display would have been great. My companion for the afternoon reminded me of the fact that the first proper Chinese New Year celebrations I had witnessed were in San Francisco in 2000. The Dragon had to be held up by rows of people. The parade started somewehere on Market St and winded its way up to Chinatown. Myself and my Friends Colette and Fiona followed the parade to its end. We ended up in a tiny little restaurant that was almost like someone’s kitchen. I think it was the best chicken dish I’ve ever eaten in my life..